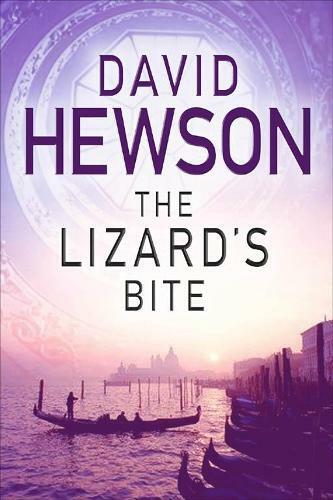 The Lizard's Bite is the fourth in the Nic Costa series, David Hewson's detective novels of love and death in Italy. Life was never black and white in Italy . . . Something about the place both disturbed and interested him. Venice reminded him of a bad yet familiar relative, dangerous to know, difficult to let go. As their exile in Venice draws to a close, Roman detectives Nic Costa and Gianni Peroni are ordered to investigate an apparently open-and-shut case, a fire in a glass foundry that has claimed two lives, so all they want is to wrap it up quickly. However, as they dig more deeply into the insular glass-making community on Murano and the strange Arcangeli family, things don't quite add up. With increasing pressure from above to finish quickly, events spiral quickly out of control - with devastating consequences . . .